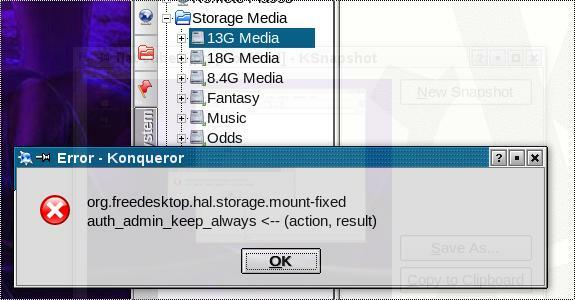 I intend to delete the partitions on all my hard disks (3 in total) and create new ones using GParted Live. Then I want to install a boot manager that will enable me to install as many OSs as I like (I'm thinking - 3 version of Windaz and 1 or two Linux distros). 1) Can I use the boot manager to eliminate conflicts between systems (like one messing with the MBRs or Partition Boot Sectors on other drives during installation)? 2) I want to install the Boot Manager first, preferably in its separate partition. Could any of you recommend a free one that is up to the task? 3) I intend to have Linux & Windows partitions on each of the drives. One purpose of this is to have the swap partition / pagefile of an OS on a separate physical disk (ie - not the one the OS is installed on). Could that be safely accomplished? I know those are a lot of issues. Besides advice I would also very much appreciate links to pages that could help me find answers to those questions. OSL2000 is an advanced multi boot manager. Using OSL2000, you can easily install, boot and manage up to 100 independent OSs in your system. A boot manager is a program that lets you have multiple operating systems in your system. OSL2000 boot manager, in addition to being a normal boot manager, has advanced features that let you seamlessly install, boot and manage 100s of OSs like Windows (all versions), Linux, DOS, etc. One more thing - I prefer less automation in a program. Like preferring a stick-shift to automatic gears. Edited by fleamailman, 28 September 2009 - 09:35 AM. Yeah, I think I'll look into GRUB. But hawklord, a question - if you have a separate boot manager on each physical disk, that means you switch between them by changing the boot priority in BIOS, right? Also, when you're installing an OS on one HD, you don't need to physically disconnect the others while doing that, right? if you have a separate boot manager on each physical disk, that means you switch between them by changing the boot priority in BIOS, right? OK, I have a tonne of questions, hope it's OK.
1) Grub is installed on your pimary master - that means you have IDE drives. I have SATA, which probably means that in my case it would be the drive plugged into the first SATA socket, right? Did you install GRUB separately, before installing any OSs, or was it installed with Mandriva? What about the propensity of OSs (Windows in particular) to mess with the MBRs & the partition boot sectors of all drives present (or, at least, the one on which it is being installed?). Say you have 3 disks. You install Linux first on the first disk (other 2 disconnected). Then you install Windaz on that same disk. Then it's bye bye MBR, from the point of view of your Linux installation, at least. By disconnecting the other disks physically you protect them, but each OS you install on your fist disk will take over the boot process. So, basically, after repartitioning my 3 disks with GParted Live I can install Linux on one disk (the primary - hd0) while the others are disconnected. Alternatively I can only disconnect the disk intended for my windows installations (hd1), and put my swap partition on the data disk (hd2) - which will have no OSs installed on it. Then I can disconnect those two and connect the disk intended for windaz (hd1) & install, say, XP then Vista then Win7 on that drive (each on its own partition, of course), which means Win7 will take over the boot process for that drive. Additionally - I intend each of the 3 disks to have mixed partitions - ext3 & ntfs, not to mention the Linux swap. I want to do it so that I can spread the disk R/W load between 2 or even 3 disks for each of my installations: one disk runs the OS, another - swap or pagefile, and the third for media (films, music). how big are all your drives ? so why not have all linux stuff on one drive ? I intend to use Debian eventually (I heard Mandriva was also good, might give it a try sometime). Windows is for experimentation purposes - I too like to fiddle. My drives are 320GB, 160GB & 500GB (will be hd0, hd1 & hd2 respectively). In order to improve performance (and because I'm supposed to be able to do it) I want my swap to be on a separate physical drive than the one my Linux is installed on. Same goes for the windaz pagefile. This way, if the computer wants to access system files and it also needs to access the swap, and while all this is going on I'm also watching a movie and downloading a big file in the BG, if the system is on hd0, the swap on hd1 and the movie I'm watching is on hd2, my system is less likely to be slowed down waiting for disk IO. I'm not sure I understand. I know I need to install the older version of windoze first. I intend to have as many versions of windows as I want to fiddle with, which is 3, currently. The Windows bootloader is in the MBR.... and the Linux isn't? From what I know, the MBR contains the partition table & a link to the actual boot loader, or part of the boot loader with a link to the rest of it, regardless of the type of OS installed. I always partition manually, but those sizes seem optimal to me. Oh, and BTW - for some reason, my /proc/partitions is empty.... I still feel so ignorant in Linux. Anyways, I feel like going for it, the way I described it in the previous post. I do have a feeling that setting my swap on the same disk where my Windaz installations will reside is not a good idea. You seem not to be too thrilled about having mixed partitions on the same drive (ext3 & ntfs, for instance). This way each system can manage its own disk, and avoid the others messing with it. But if I prepare all the partitions in advance with GParted and then have only one disk connected during installation of each OS, couldn't I avoid that problem? Thanks for all your advice, man. Edited by hawklord, 30 September 2009 - 12:23 PM.